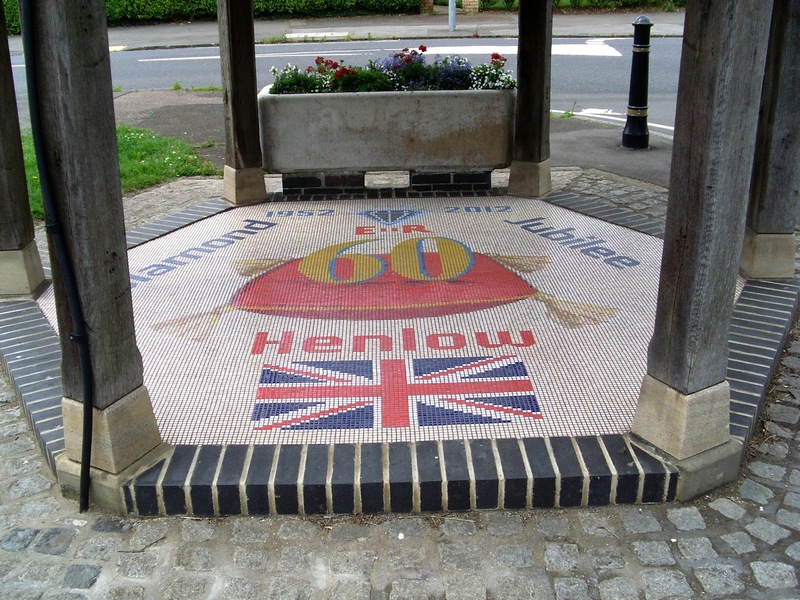 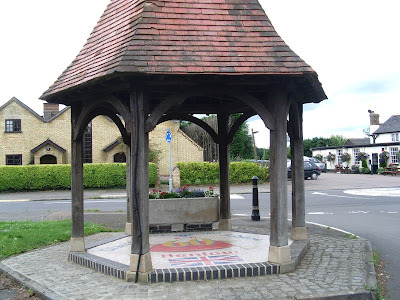 We were commissioned by Henlow Parish Council in Bedfordshire to make a commemorative Jubilee mosaic based on a design from one of the local schoolchildren. We installed it in late May on the floor of the Parish Pump - the building itself had been built in 1897 for Queen Victoria's Diamond Jubilee. 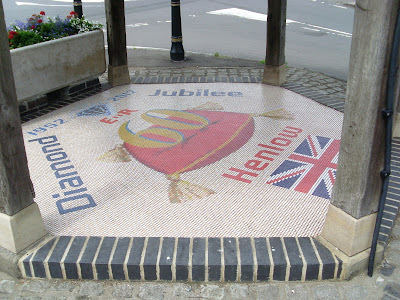 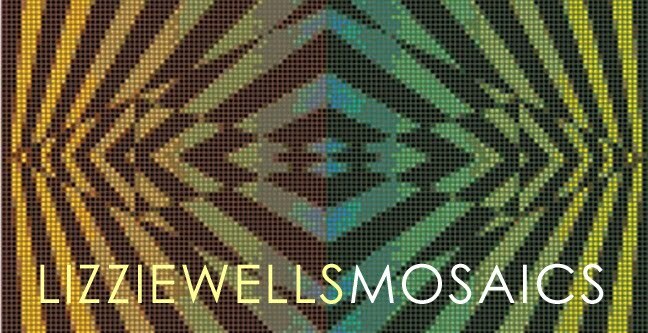 The mosaic was created on mesh in Bexhill using Bisazza's 12mm Opus Romano.